Every day is Valentine’s Day for Shan-Teng, ‘cept February 14th. While Shan-Teng is still going strong, despite any worries that they were headed towards Splitsville in the last episode, a love confession from a certain someone is going to make the road to happily ever after that much more difficult. Never fear. Even if the road is bumpy and filled with obstacles, Shan-Teng’s true love can make it! Right…? After receiving Feng Teng’s text to meet up the next day to talk, Shan Shan is expecting the worst. She’s 99% sure that he wants to break up with her. She turns to Liu Liu for advice and comfort during this time. Liu Liu is still concerned about the difference in social status between Shan Shan and Feng Teng, and tells her that it might not be such a bad thing if they did break up. Her thinking is better now than later. Way to be optimistic. Shan Shan, however, agrees with Liu Liu that she never expected things to last for her and Feng Teng, but she never expected to be dumped for no good reason. 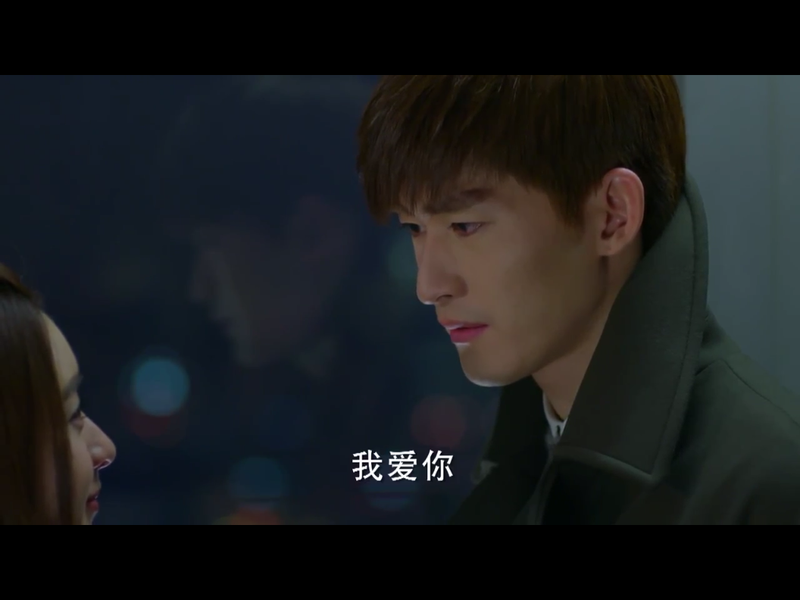 By the end of their chat, Liu Liu has successfully convinced Shan Shan that it’s not going to be the end of the world if she and Feng Teng break up. But what about us, the devoted Shan-Teng shippers?! At work, all of Shan Shan’s coworkers are showing off their Valentine’s Day gifts…the typical chocolates and flowers. Zhou Xiao Wei is apparently super popular with the guys because she keeps getting flowers delivered to her nonstop. Zhou Xiao Wei purposely gives Shan Shan a bunch of extra work and asks her to stay behind if she has no other plans tonight. Shan Shan quickly agrees to staying later to finish the work, thinking that she could avoid having “the talk” with Feng Teng. All the coworkers are shocked that she doesn’t have plans with Feng Teng tonight, and Zhou Xiao Wei walks away, smirking to herself. In the meantime, Li Shu is arranging this fancy schmancy dinner at Feng Teng’s house, and asks Feng Yue if Feng Teng is definitely coming home tonight. She’s delusional. Why would he spend Valentine’s Day with her instead of HIS GIRLFRIEND, Shan Shan? By the time dinner rolls around, Feng Teng is nowhere to be seen. The doorbell rings and Li Shu practically flies outta her seat to open the door. But she’s in for a major disappointment because the guy standing at the door isn’t Feng Teng but Zheng Qi. Girl doesn’t even try to hide her disappointment; her smile disappeared immediately. Zheng Qi tells her to Feng Teng isn’t coming home for dinner tonight. Well, duh. Feng Teng goes to find Shan Shan to see if she’s done with work yet. She wasn’t expecting to see him tonight, but reluctantly has to tell him that she’s done and follows him to his apartment. There, Shan Shan is mentally preparing herself to get dumped by Feng Teng. He starts off his speech by telling her that he can’t spend Valentine’s Day with her…ever. Shan Shan tells him that she knows, and that she won’t ever bother him about it anymore because she knows he wants to break up with her. Feng Teng says that he wanted to tell her about his parent’s accident and what Valentine’s Day means to him, but when he heard that this was going to be her first real Valentine’s Day, he couldn’t bring himself to do it. Feng Teng tells her that if she’s going to be with him, then she needs to know that they will never be able to spend Valentine’s Day together like a normal couple. Feng Teng goes on by saying how he brought her to the apartment because he thought that she’d enjoy having a place that belongs to just to the two of them. On the contrary, he’s noticed that she’s gotten progressively more unhappy and is speaking less and less. Shan Shan asks if that’s why he too has become less talkative around her. Feng Teng says that he didn’t want to talk because he knew that she would want to discuss Valentine’s Day. Communication is key, you two! After Feng Teng is done with his speech, Shan Shan tells him that she was running around like crazy the other day because she wanted to tell him that she doesn’t want to spend Valentine’s Day with him. But now, after hearing what he said, she’s changed her mind. She tells him that all other couples use Valentine’s Day to be the one day to celebrate their love for each other. For them, this day is too be reserved for remembering his parents. Instead, every other day that isn’t February 14th will be their own Valentine’s Day. Shan Shan kisses Feng Teng to express her feelings for him. Feng Teng looks at her for a second, with tears in his eyes, and whispers, “I love you,” to her. Anddddd cue my tears. At Feng Teng’s house, Zheng Qi asks Li Shu if she found the book that she was looking for the other day. She scolds him for bringing up Feng Teng to her again. How was he supposed to know? She tells him that she confessed her feelings to Feng Teng once, and it was on a bookmark that she placed in that book. To her disappointment, Feng Teng never even bothered to look through the book all those years ago. Zheng Qi reminds her that even though Feng Teng never responded to her confession, he still gave her a photo frame the next year with a picture of them three as a symbol of friendship. Li Shu claims that she wants to find that book because she doesn’t want him to randomly come across it one day, and then things will get awkward between them. Psh…from all my drama-watching experience, I think she’s making such a big deal about the book/bookmark because she wants Feng Teng to find it, read her confession, and go to her being all like, “Li Shu, I totally love you too.” Shady. That night, Li Shu looks at the photo frame and picture that Zheng Qi was talking about. She randomly decides to open it, and finds that there’s a message written on the back of the picture. The message is along the lines of, “Perhaps we will meet again someday.” Now remember, this gift was given to her after she moved away, so it’s a perfectly normal and ordinary message. Li Shu, however, reads it and is convinced that this is Feng Teng’s confession of his feelings for her. Like a deranged lady, she speeds to Feng Teng’s apartment, bawling her eyes out the whole way there. 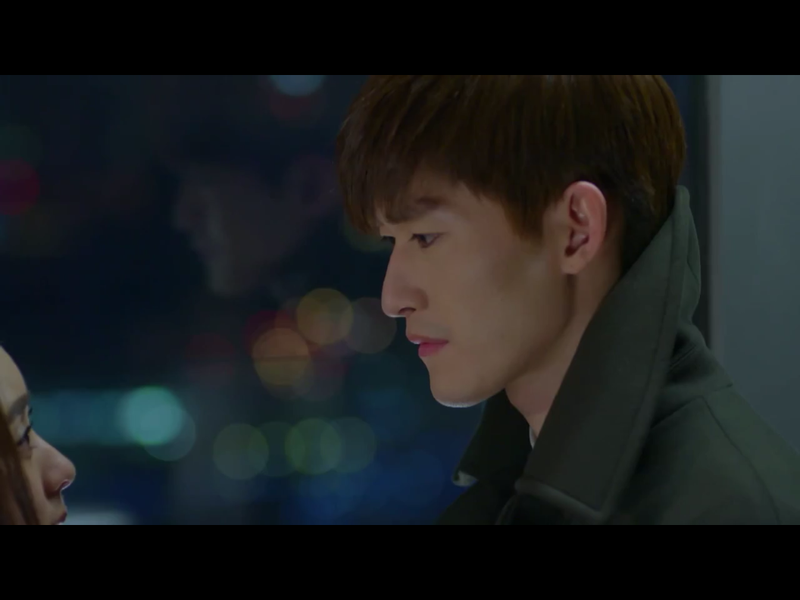 After taking Shan Shan home, Feng Teng comes back to the apartment to see Li Shu waiting there for him. Upon seeing him, she rushes over to hug him, all the while sobbing and saying she’s sorry. Feng Teng takes her inside the apt to find out what she’s doing here and what’s wrong. Li Shu apologizes to him for not realizing sooner his feelings for her, and how sorry she is that she was too proud to pursue him all these years. Feng Teng’s totally confused and tells her that she must be mistaken about something. Li Shu whips out the picture with the message written on it, and tells her that she’s read his confession/reply to her bookmark and knows everything now. She hugs him and tells him that she loves him. Whoa, that sure happened fast. Feng Teng looks super uncomfortable that she’s hugging him and pushes her away to look at this picture. After a second, he asks if she can’t recognize his handwriting after all these years. Burn. Li Shu realizes that if Feng Teng didn’t write the message to her then it must have been Zheng Qi. Feng Teng tells Li Shu that he has indeed seen the bookmark that she’s talking about, but only recently when she was looking for the book. Despite knowing her feelings for him, he tells her that he only loves Shan Shan. Li Shu tries to play it cool and laughingly says that Feng Teng is so gullible because this was obviously all a big practical joke. Obviously…right. She then runs out of his apartment to hunt down Zheng Qi. Li Shu barges into Zheng Qi’s place when he opens the door, and slaps him right across the face. 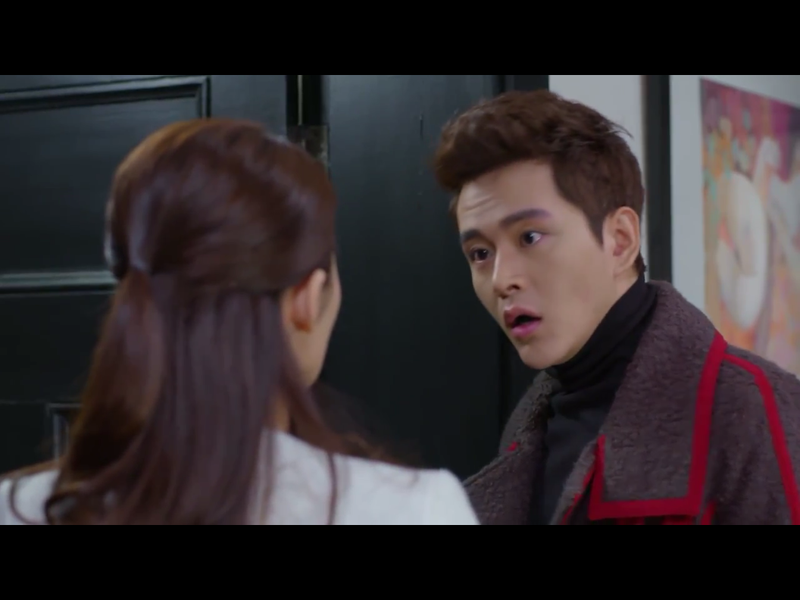 When Zheng Qi asks her wtf is wrong with her, she demands to know why he purposely made her look like a fool in Feng Teng. When he sees her holding the picture, he realizes that she went to Feng Teng confessing her love for him. Li Shu accuses Zheng Qi for being an idiot and thinking it’d be funny to pretend to write a reply as Feng Teng. Zheng Qi defends himself that he never signed the message as “Feng Teng,” so it can’t be considered a reply or even that it’s from Feng Teng. Suddenly, a noise startles the two of them and when Li Shu looks at the rest of the room, she sees a bunch of girls standing there. Turns out that Zheng Qi was having a Singles’ Valentine’s Day Party. Oops, awkward. Needless to say, Li Shu gets the hell outta there. At the house, Feng Yue is comforting Li Shu about all that super awkwardness that happened last night. She tells her that it’s not an entirely bad thing that she confessed her feelings to Feng Teng because at least she doesn’t need to keep wondering “what if” with him. Feng Yue tells her that since the Feng Teng ship has sailed off with Shan Shan, Li Shu should focus her attention on Zheng Qi. Li Shu tells her to forget it, and that there’s nothing between her and him. Then, she gets a text from Shan Shan. Li Shu arrives at an art gallery/cafe to meet up with Shan Shan. To her surprise, the first person that she sees when she walks through the door in Zheng Qi. He presents her with a bunch of notecards with his apology expressing how sorry he is for what happened last night. All the while, Shan Shan and Feng Teng are sitting on the side, watching and enjoying some afternoon tea. Yeah, not weird at all. Shan Shan wonders if Zheng Qi’s confession will work, and Feng Teng tells her that he’s apologizing, not confessing. Shan Shan asks what he’s apologizing for. When Feng Teng looks away and doesn’t answer, Shan Shan figures that it must be because Li Shu saw Zheng Qi hanging out with all those single girls last night. Oh, our sweet and naive Shan Shan. Tea party and a show. After looking like a fool in front of Feng Teng and Zheng Qi last night, Li Shu tells Feng Yue that it’s time that she moved out of their house. Feng Yue tells her that she’s not going anywhere, especially since Feng Teng has already moved out to the apartment. Li Shu tells her that she’ll think about it. Yeah, like she would give up the chance to be close to Feng Teng. Please divert your attention to Zheng Qi.